Advanced Landscaping & Sprinklers in Fort Collins is proud to be your number-one resource for all of your landscaping and snow removal needs. We understand that shoveling snow on your own can be overwhelming when those notorious Colorado snowstorms hit. Contact us today for a free snow removal estimate and prepare your home or business for the months ahead! 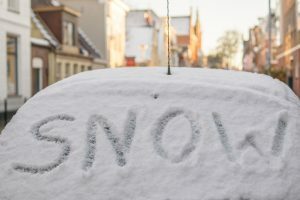 While the charges will vary according to the size of the neglected driveway, walkway, or sidewalk, paying the city to take care of your snow removal needs will be far more expensive than enlisting the help of Advanced Landscaping & Sprinklers in Fort Collins. The state of Colorado is well known for its ice storms, heavy snowfall, and May blizzards; it’s crucial that you have a plan to keep your home and walkways clear in the months to come. The fast-paced and constantly changing weather patterns in Colorado can be difficult to predict, and you need to be ready when a storm hits. Keeping your driveway, walkway, and sidewalk free of snow has clear benefits for both you and other people. It’s crucial to keep your driveway free of snow, as the snow can become packed and turn into ice as you repeatedly drive over it. While fresh snow can often be slippery, the layer of ice that builds beneath it can be far more insidious and conducive to slips and falls. Our professional team of snow removal experts uses state-of-the-art de-icing agents to coat surfaces, helping both pedestrians and cars avoid accidents. Protecting yourself and others from slips, falls, and accidents is important, but many people often forget that hiring a professional snow removal service is an excellent way to maintain and promote the curb appeal of your home or business. Have you ever walked by a home or walkway with waist-high piles of snow scattered around? We sure have, and we know that maintaining a welcoming and appealing aesthetic is important for all Fort Collins residents and business owners. You can be sure that your home or business will look impeccable when you enlist the help of a professional snow removal service. While we’re just beginning the winter season, don’t hesitate to call Advanced Landscaping & Sprinklers, Inc. when you start preparing for summer landscaping. We offer everything from professional lawn mowing to landscape design. Contact a member of our expert Fort Collins snow removal team today!